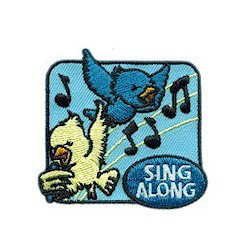 Remember the fun of participating in a sing along with the Sing Along patch. 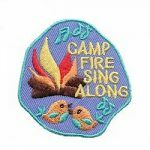 6 reviews for "Sing Along Patch"
Nice Patch- met our needs beautifully! 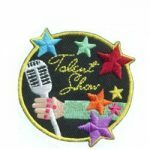 The patches are very cute, perfect for our event for Daisys and Brownies. They arrived quickly and the order was correct. We do sing along events 2x per year and it’s hard to find different patches for each event beause we have a lot of girls that come to each one, so it was fun to find a new one for this event. Thanks for being a great resource. Unfortunately, this was backordered for a long time. 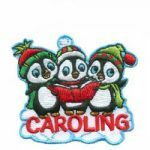 BUT, the patch is a good size, stitching is great and the birds are cute. It will be a good fun patch for our upcoming event. The girls loved the patch. Cute style.